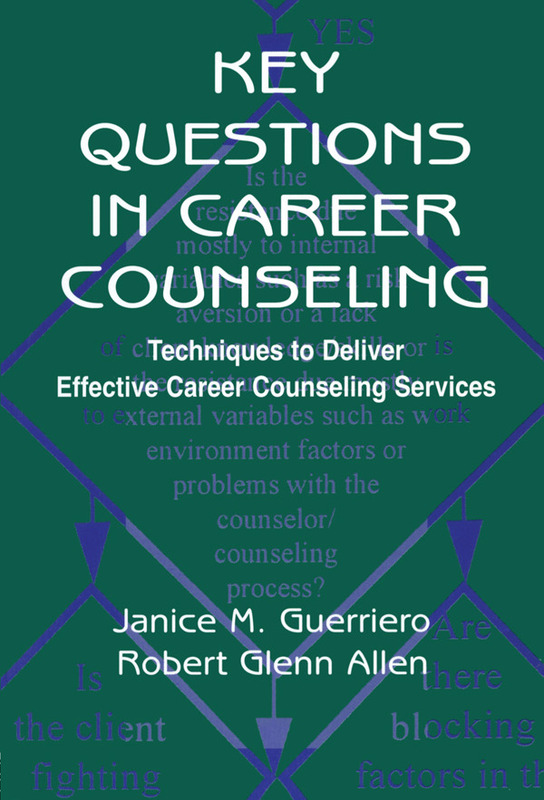 This book's purpose is to provide a tool for career services personnel to deliver more effective, consistent career counseling. Its primary objective is to present a career counseling process model, including sequential stages and steps, along with a method (the Key Questions Technique) for successfully implementing the model. It is intended to serve as the bridge between the theoretical and the applied worlds of career counseling, and it is hoped that this book will increase the standards of professionalism and objectivity for the many diverse practitioners who currently conduct career counseling in the workplace. "You will find this work as a very practical guide and user-friendly reference." Contents: Introduction. The Career Counseling Process Model. The Key Questions Technique. The Foundation Stage. The Assessment Stage. The Feedback Stage. The Goal-Setting Stage. The Resistance Resolution Stage. The Follow-Through Stage. Effective Career Counseling. Appendices.